These super contemporary dangle earrings are full of movement. Each of three diamond shapes swings on its own and overlap one another. The largest and smallest diamonds are half inlaid with blue-green Campitos turquoise while the other half is polished sterling silver. 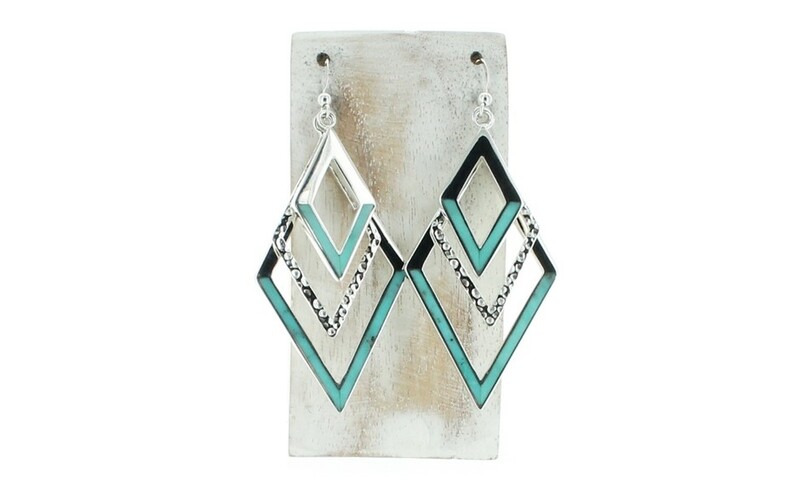 The middle shape is hammered turquoise. 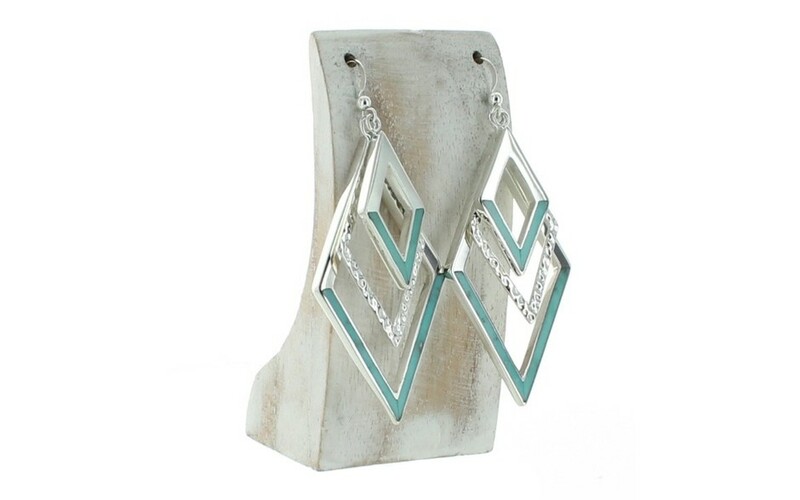 These are large earrings and demand attention! Each one measures 2 3/4" long by 1 3/16" wide.